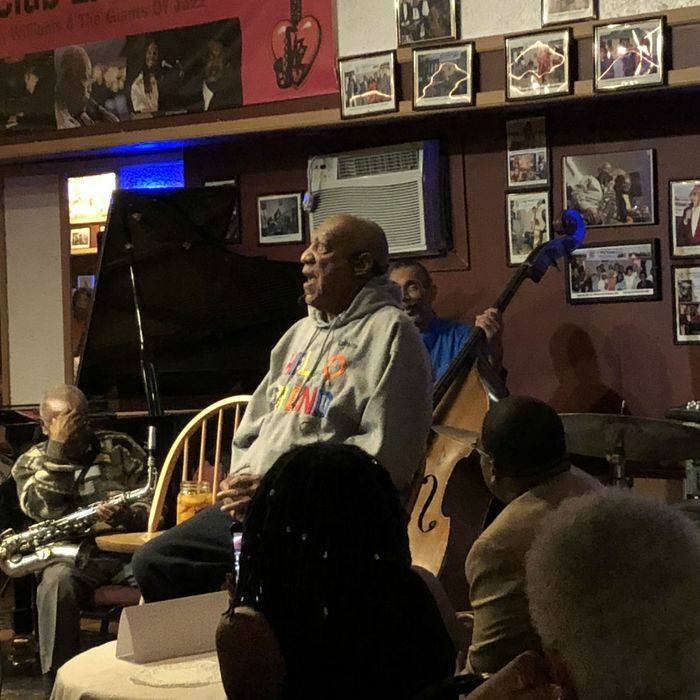 Bill Cosby surprised some in the audience in Philadelphia tonight when he performed a stand-up routine at Club LaRose on Germantown Avenue. The 80-year-old comedian is back in Philadelphia where he will face aggravated indecent assault charges alleging that he drugged and sexually assaulted a woman in his Montgomery County home. The trial against Cosby ended in a hung jury last June. The second trial gets started April 2. Montgomery County D.A. Kevin Steele recently filed a motion to allow as many as 19 women to testify in the second trial. Each of the women has accused the comedian of drugging and sexually assaulting them. There’s no word on whether Judge Steven O’Neill will allow the witnesses. O’Neill is the same judge who presided over the first trial against Cosby, and he did not allow a similar motion last year. There are rumblings that things could change, however, in light of other allegations against famous men, as well as the efforts of both the #MeToo and #TimesUp movements. Cosby didn’t discuss his impending trial during his set, which he announced only a few hours before on Facebook. Instead, the event kicked off at 5 p.m with music by the Tony Williams Jazz Quartet, and Cosby joined the band to tell a few jokes that were very reminiscent of his classic stand-up. He told stories that mostly centered on funny anecdotes from his own childhood, like the time he asked his Uncle William why he wasn’t white like the baby hanging from the stork’s beak. “Coffee,” the uncle told him. He also poked fun at his visual impairment. Wearing a sweatshirt that said “hello friend” in multicolored letters, Cosby performed for a little more than an hour. At different times throughout the act he referred to his wife Camille and his daughter, who he called “a very intelligent lady.” The audience seemed to welcome him at the intimate club. One young man at the bar said he stopped in for a drink and had no idea he would see Dr. Huxtable telling jokes.